Do you have any backup plans for the files on your company’s servers and computers? 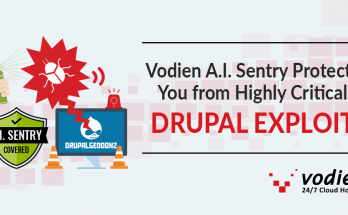 In the event that these files are corrupted or lost due to an unfortunate disaster or accident, you might lose all copies of these important files. If not, you need to give it a serious thought before all your data is lost forever. According to a 2014 survey done by Backblaze, about 54% of their clients have personally or know someone who lost their computer data. Think of how costly and disastrous it will be for businesses when they don’t do an exhaustive backup of their data. 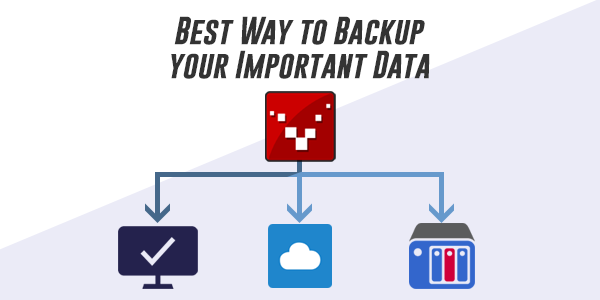 So in today’s article, we’re going to show you the best way to keep a complete backup of your files should the unfortunate thing happen to your device like accidentally deleting them, faulty servers and disks, and device theft. This strategy is called 3-2-1 Backup Strategy. How does this work? Read on to find out. What is 3-2-1 Backup Strategy? Aside from the original data, you need to have at least 2 more backups stored. Why is one backup not enough? Having a single backup is a great start, but it may not be enough. The main idea for this strategy is that the more copies you store in different locations, the lower probability of losing them when a situation occurs. But if you only have a single copy, ensure that it has a different physical location from the original. If your original file is saved locally on your desktop, then we advise you to keep 2 more copies in different storage media types, such as an internal hard disk drives and removable storage drives: USB drives, SD cards, DVDs and CDs. In that way, in case your computer crashes, then you can still retrieve the same copy from your external drive on another computer while you wait for your computer to be fixed. When we say offsite, it means storing a backup data on a remote server. The server can be even located in another city, state or country. We don’t recommend keeping your external storage drive in the same building as your computer because there’s a possibility you would lose all your data when there are man-made or natural disasters. If you’re a company with no other offices nationwide or outside the country, your best option would be to get a comprehensive online or ‘cloud’ backup service to complete your 3-2-1 Backup Strategy. It’s best to get a Network-Attached Storage (NAS) as a local backup solution and complement it with a proper cloud storage plan to automate the backup process, allowing you to remotely access your data from multiple devices and provide security against data loss. For individuals who simply want a backup for their personal photos, videos and other files, they can get a free cloud storage from Google Drive, OneDrive, Box or Dropbox. 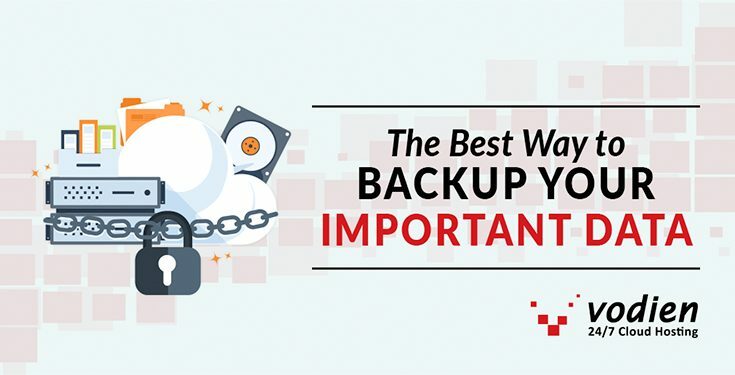 However, these free online backup services may require them to backup their data manually or they can choose to upgrade to the paid version to automate and schedule the backup process. What’s the Difference between Cloud Storage vs. Cloud Backup Service? Cloud storage and cloud backups may look similar on the surface, and in some ways they may be alike. But in reality, they have remarkable differences that you can’t simply replace one over the other. But you don’t really need to choose, you can simply have both to complete your cloud backup solution. Here’s how to know the difference between the two. Cloud Storage is designed for easy storage, access and sharing of files to multiple devices and users. A great example of this is Dropbox, Google Drive, and Microsoft OneDrive . It is commonly used for collaborative sharing feature where files can easily be viewed and modified by multiple users. It involves a moderate amount of space for files and works mostly on web interfaces. To store files in the cloud storage, you can either access it directly through the host’s website or download the app integrated on your computer or other devices where you can manage the files directly. This is convenient for when you want to share files with friends or co-workers, or access the files from a different computer that is not your own. It takes only a few portion of your hard drive and whatever changes you’ve made on the file offline will automatically be replicated on your cloud storage. Since it has a limited data capacity, it’s not recommended as a substitute for a full backup. Only the data you have saved in the cloud storage will be restored once your experience data loss. Unlike cloud storage, cloud backups can house a massive amount of data and offers protection against data loss. In the event that your device gets stolen or the files are corrupted, it automatically creates a redundant copy of the files stored so they can easily be recovered later on. Cloud backup providers can automatically back up everything (except for the operating system and settings) so you don’t have to manually do it yourself. Think of it as a virtual account where you can access a stored copy of all your files. When to Use Cloud Storage or Cloud Backup? Just as online storage services are not perfect, online backups don’t come without any limitations, either. Both are actually very useful but it is important to understand what your personal or business requirements are to determine which cloud services will meet your needs. Storage – If you only need just enough space to store some of your songs, videos, photos and other documents and access them with any device, then a cloud storage will do. Many of the cloud storage providers offer free gigabytes of storage space. However, if you’re looking for a generous storage space with a full backup, then you’ll do better with a cloud backup, which offers redundancy for all your files stored on your device. File Sharing – Cloud storage makes it really simple and convenient for anyone to sync and share files on different devices, and grant access to other users through a link. Some cloud storage providers like Dropbox and Google Drive have options where you can automatically upload your photos directly to your Facebook or Twitter account. File Protection – Cloud backup offers more protection since files are encrypted before they leave your computer and remains encrypted until it reaches its destination to ensure that data is not compromised. When it comes to protection against data loss, cloud backups is a clear winner since it creates redundant files so that the original file that’s corrupted or lost can be restored anytime. For cloud storage, any changes on the files (including deletion) are automatically synced across multiple devices so you can’t get any redundant copy once the old version is either corrupted or deleted in any one of the devices. Manage Backups – Cloud backup services can automatically schedule your backups daily while cloud storage will require you to manually select files that you want to back up. So in a nutshell, cloud storage is great when you want to access all your files in one place and sync them on different devices while having the ability to share some files with other users. Cloud backup service on the other hand, offers a seamless and more secure way to store a backup copy, or image of your files or IT infrastructure in case of data loss. It goes without saying, that for backup purposes, a cloud backup service should be your main choice over online storage services. 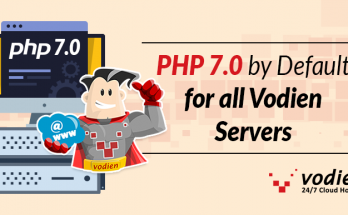 With Vodien Cloud Backup Solution, losing your important files will be the least of your worries. 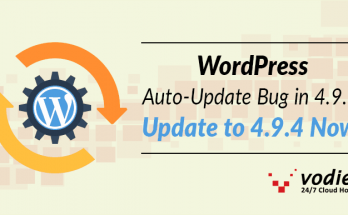 Next Article How to Secure Your WordPress Website?